"We found ingenious ways to create the answers to the maths problems! 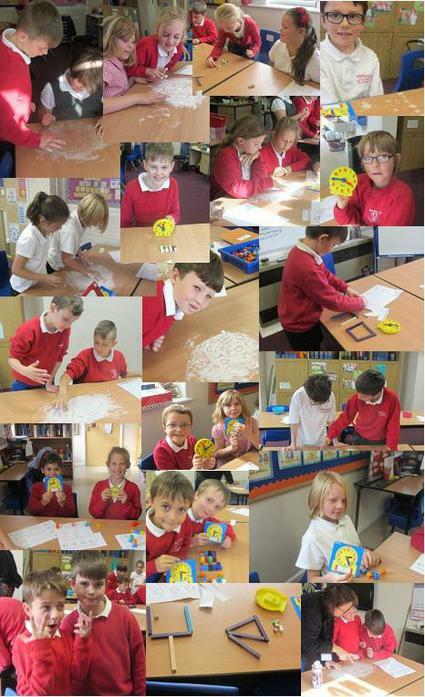 We used: multi-link cubes, rice, dienes squares and even shaving foam to write our answers. We were very creative."